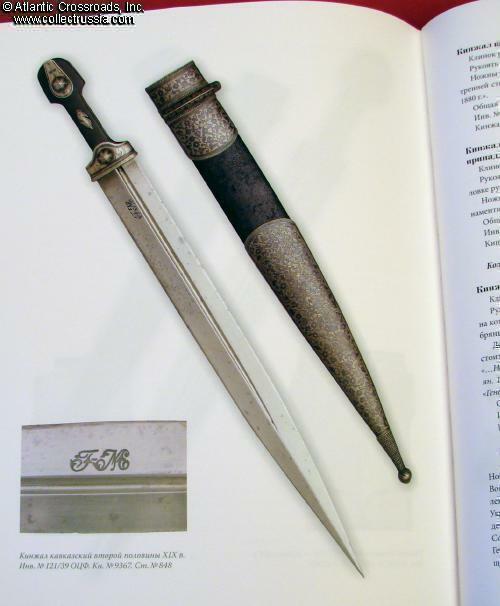 "Inscribed Russian Blades", Aleksandr Kulinsky, C 2011, St Petersburg. 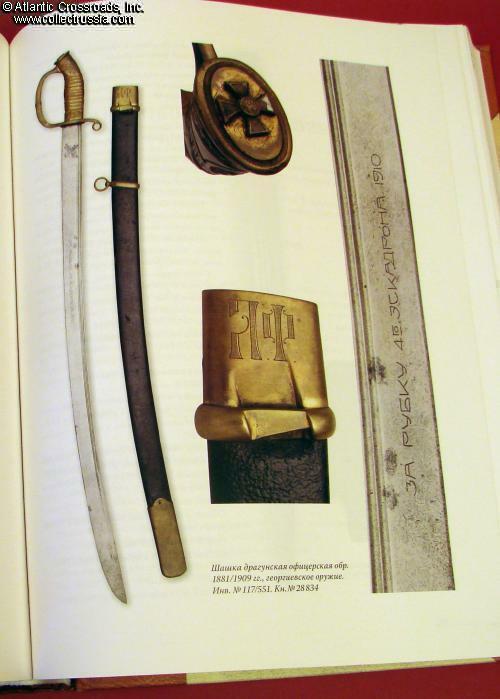 "Inscribed Russian Blades", Aleksandr Kulinsky, C 2011, St Petersburg. 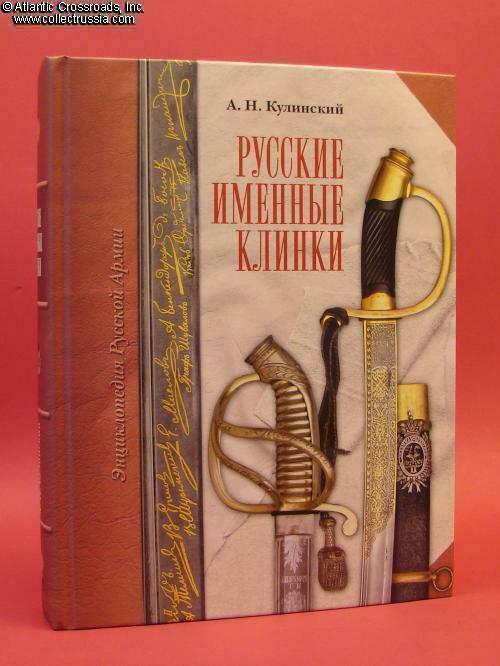 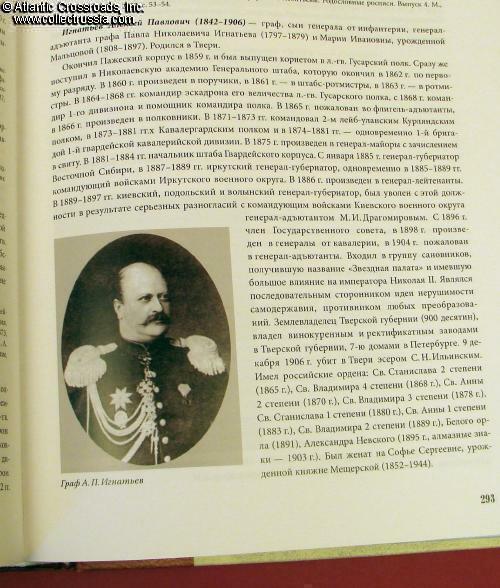 Russian text hard cover, 8" x 10 ½"x 1 ¾" format, 626 pp. 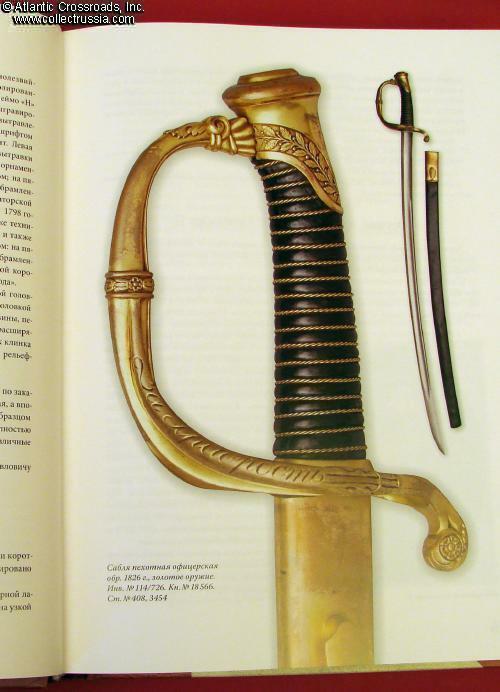 The book includes a large number of high quality color photos of the weapons as well as many b/w period photographs of their owners. 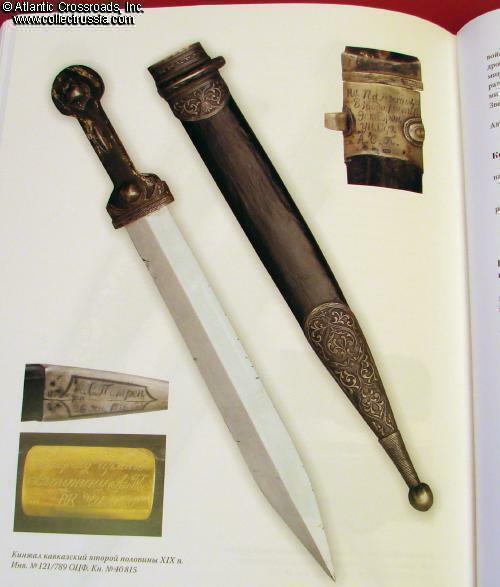 The focus of the book is presentation and award edged weapons of all kinds, from ceremonial swords to combat shashkas and kinjals. 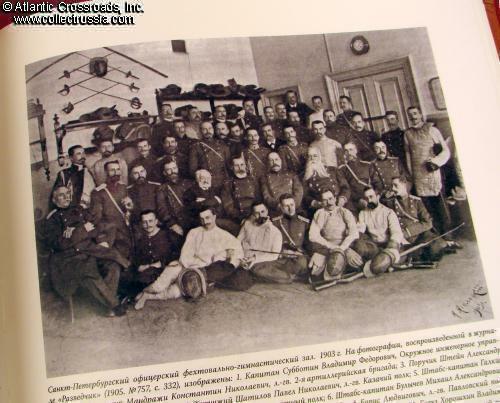 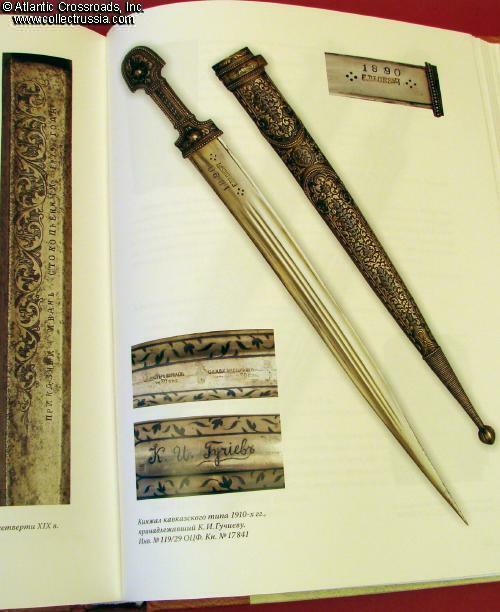 Moreover, because of the large scope of edged weapons represented in it, it can also serve as a helpful guide on Russian edged weapons in general. 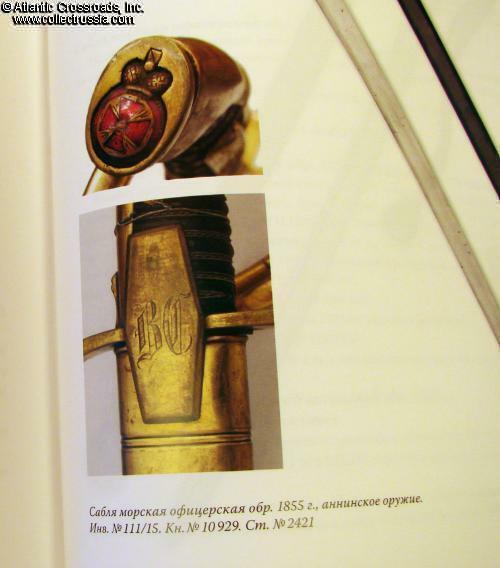 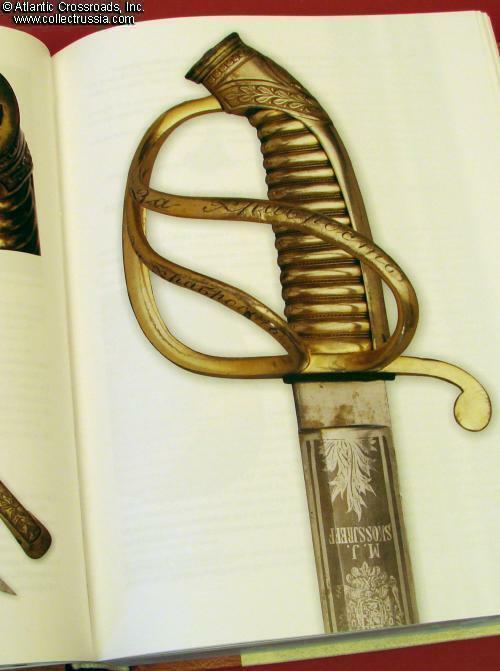 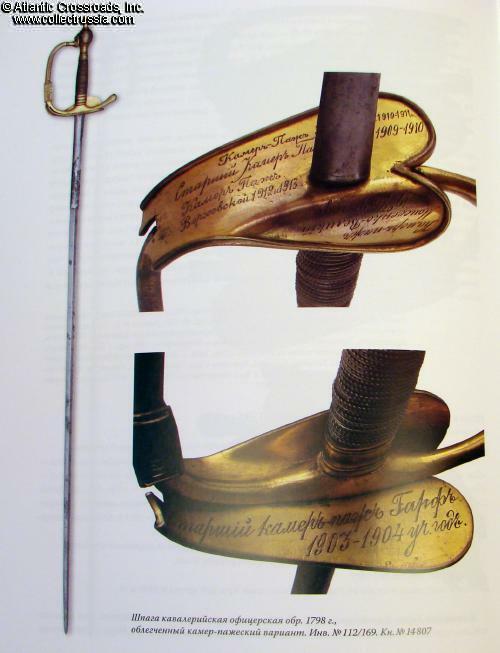 The close-up photos of the inscriptions and attached decorations (such as Orders of St. Anne or St. George on the award weapons for bravery) are especially helpful to a collector trying to navigate the field rife with fakes and "upgrades". 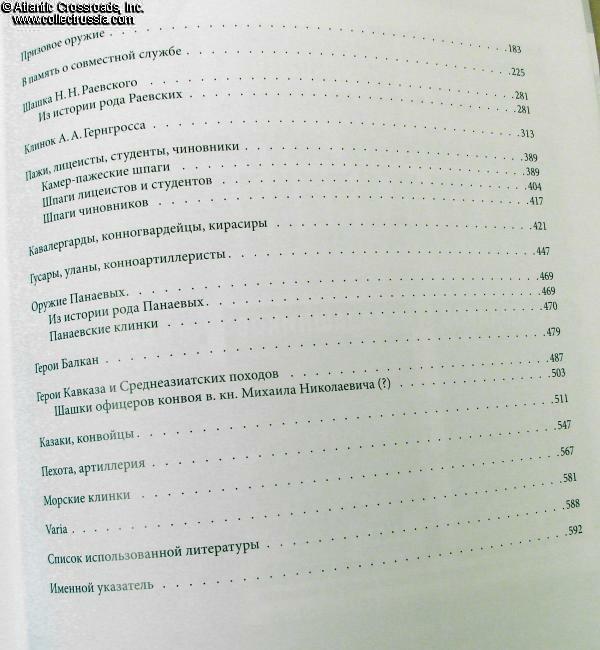 This great reference guide is an excellent addition to the previously published classics by Kulinsky. 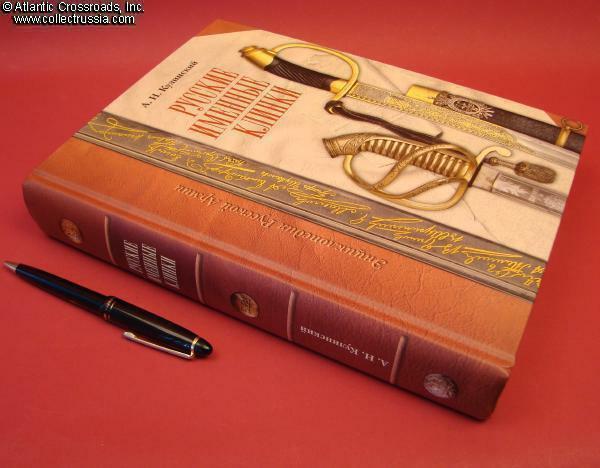 Brand new copy with minor bumps to the corner and spine from shipping, in otherwise mint condition.